Upon David’s return to Ziklag after having been rejected for battle by Achish, he finds the Amalekites has raided the town, burned it, and captured everyone, including their wives, sons, and daughters. David’s men were angry and threatened to stone him. So David turned back to God. David consulted God who told him to pursue the Amalekites to recover their kin. David helps an Egyptian slave who got left behind by the raiding party. This Egyptian slave leads them to the raiding Amalekites. David attacks and wins. He recovers everything and everyone that was taken from him and returns to Ziklag, sharing all the plunder even with his men who were too exhausted from the 3 day hike previously to help. David sends some of his plunder to the elders of Judah. 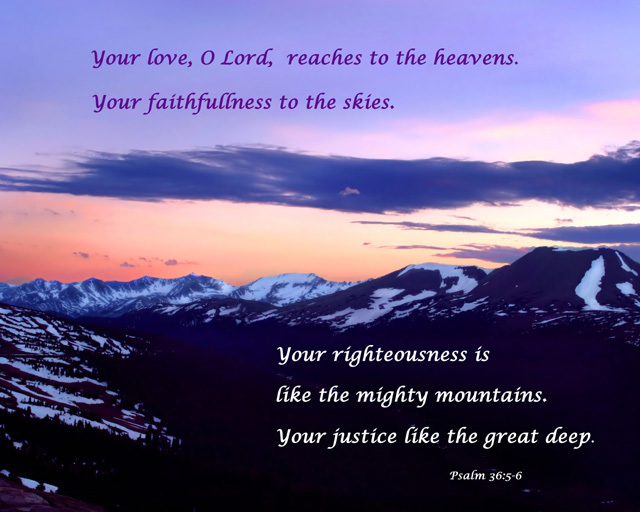 We read Psalm 36 in Lesson 12, Day 5. The commentary is the same for Psalm 36. 9) Upon David’s return to Ziklag after having been rejected for battle by Achish, he finds the Amalekites has raided the town, burned it, and captured everyone, including their wives, sons, and daughters. David’s men were angry and threatened to stone him. Everyone was distressed and wept until they had no more strength left to weep. So David turned back to God. 10) Part personal Question. My answer: David consults God. He tells his men when they are wrong when they are greedy and don’t want to share the spoils. He shares the spoils with the elders of Judah. I want to be more sharing of what I have as well. 11) Personal Question. My answer: God’s love is greater than any troubles I may face, and my job it so shine this love to others. David and his men covered about twenty-five miles a day on the march south from Aphek to Ziklag, where they would have arrived tired, hungry and expecting all the comforts for a welcome home. There is a touch of the Lord’s poetic justice in all this since David brought this exact calamity on other cities (1 Samuel 27:8-11 during his time among the Philistines. David made his living as a bandit, robbing cities and whenever David attacked the land, he left neither man nor woman alive. The Amalekites were more merciful than David was. God, who is great in mercy, does not discipline us as much as we deserve. Like a compassionate father, He tempers the stroke of His hand with kindness and love. 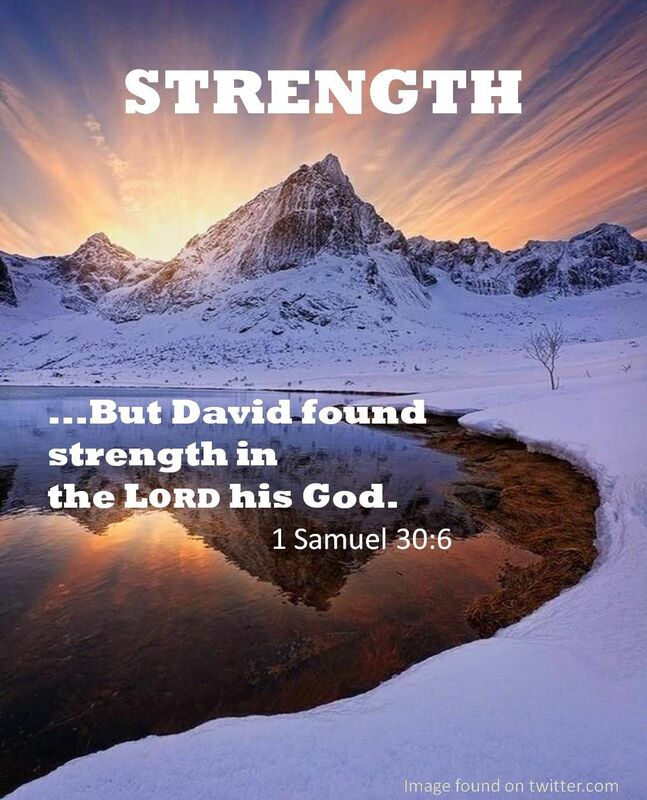 What did David remember about God to give him strength? David now sees why he was rejected by the Philistines: so he could return home and rescue his family. God is good! God sent David support when he needed it most. Men from Manasseh showed up to aid him (1 Chronicles 12:19-21) and they kept coming. FUN FACT: This was the first time David inquired of the Lord since he went to live with the Philistines. David sought God with the help of the priest, almost certainly using the Urim and Thummim that were part of the priest’s ephod. An ephod was a special apron that priests would wear to cover their clothing to keep the sacrificial blood off their clothes. This was the ephod of the High Priest, which had the breastplate of judgment (Exodus 28:15) attached to it (Exodus 28:28). The breastplate had in it a pouch with two stones, known as the Urim and Thummim (Exodus 28:30). God gives us something to do, He also gives us a promise in the doing. One-third of David’s army stays behind, too weak to continue. When God means to bless us, he often takes away a part of the little strength we thought we had. Having shown unexpected kindness to an Egyptian, David is rewarded. He attacks the Amalekites when they were hung over from the party the night before as they thought the Israelites were far to the north. God fulfills His promise through David’s action, not idleness. Why was David allowed to keep the spoils of the Amalekites when Saul was commanded to not keep any spoil from that nation (1 Samuel 15:1-3) and was judged by God for not obeying that command (1 Samuel 15:13-23)? David had no specific command from God to destroy all the spoil from the Amalekites, as Saul did. David recovered what the Amalekites took from others, though he recovered far beyond what was taken from his city. David was not acting as the king of Israel representing the Lord’s nation, as Saul did. David declared an important principle: the supply lines are just as vital as the soldiers and God will reward both “soldiers” and “supporters” properly. Many people serve the Lord in invisible, behind-the-scenes ways, often supporting a much more visible aspect of the Lord’s work. God will support the hidden servant with the same reward as prominent servant. Why David send spoils to the elders of Judah? How is David a picture of Jesus Christ in 1 Samuel 30?